Have you heard of NaNoWriMo? If you haven’t – check it out, now! Every November, writers all over join together to write a novel (National Novel Writing Month). There’s even a version for your students! Why am I bringing this up NOW, you may ask? 1/3 of the way through November? Well, 2 reasons! (eeeeeek!) It’s scary and hard and time consuming. But if I ask my students to push themselves as writers, and I talk all about writing, I figure I should be walking the walk as well as talking the talk. By no means does this mean I am a good writer. I’m horrible. But you only learn by doing and practicing and pushing. So here I am – sharing with you that by the end of November, I hope to have a novel written. Typically novels are anywhere from 40,000 words to over 90,000 words. NaNoWriMo’s typical goal for most writers is to have 50,000 words written by the end of the month. My goal is 20,000. 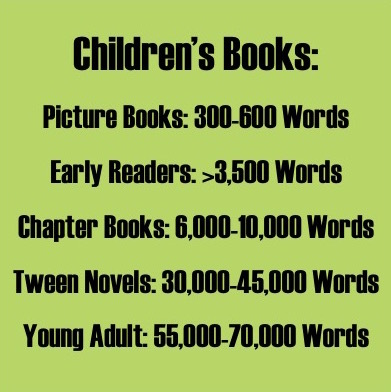 It’s Children’s Fiction and I’ve never written anything more than 5 pages. So 20,000 words seems like a great goal for me right now. And is still over 600 words a day! 2) Writing a novel not your thing? Your little writers can get involved. The website has all sorts of resources you could need to get your students to write a novel! (Or you can always use this!) Let’s be honest – it’s not necessary to do this in November. January, March, or April work just as well! I LOVE how it pushes writers to keep going. Writing stamina these days is at an all time low, and NaNoWriMo encourages writers to push through that! What’s not to love? With a Dare Machine, who wouldn’t want to get writing?! Have you written your own novel before? Have you used NaNoWriMo? I’d love to hear! Tell me more in the comments below! « What Should Writing Conferences Look Like in the Classroom? What Should Writing Conferences Look Like in the Classroom?